W.E. Bolton Construction and Service, LLC owned by William E. Bolton III (Bill) and his son William E. Bolton IV (Will) acquired the assets of Bolton Service, LLC on June 11th, 2010. Woodfin Oil, the former owner approached the W.E. Bolton in January of that year with the opportunity. After months of negotiations the Bolton Service, LLC employees joined the Bolton Family once again. Photo: William E. Bolton, Sr. (wearing bow tie), William E. Bolton Jr. (second right), at the 519 West North Street Office in 1955 receiving the company’s first group insurance certificate from a representative of Blue Cross and Blue Shield. Bolton is one of the oldest family businesses in the Raleigh area. William E. Bolton Sr. left the Atlantic Coastline Railroad of Rock Mount in 1923 to oversee the construction of the Mechanical Systems for Raleigh’s first high rise hotel, The Sir Walter Raleigh Hotel. In 1925, he established the W.E. Bolton Company for the purpose of installing and servicing coal fired heating and refrigeration systems for local dairies and meat packing plants. The company weathered the great depression and William E. Bolton Jr. joined his father in 1946 after serving 6 years aboard the USS Yorktown. Post war residential and commercial market growth allowed the company to expand operations and in 1957, they acquired the property and constructed a 10,000 square foot office facility at 919 West Morgan Street. After graduating from NCSU in 1971, “Bill” Bolton III joined his father and grew the size and complexity of work performed by Bolton Corp. Projects included Rex Hospital, the NCSU School of Veterinary Medicine, The Radisson Hotel, and One Hanover Square. At its peak, Bolton Corp. had 35 million in annual sales and nearly 500 employees with offices in Raleigh, Asheville, Morehead, and Wilmington. Bill Bolton III served as President of Bolton Corp. until the late 1999. Following the death of William E. Bolton Jr. the Bolton family businesses began a transition to split into separate business units among the Bolton brothers; Mike, Doug, and Bill. In 2002, Bill Bolton III and “Will” Bolton IV established W.E. Bolton Construction in Raleigh. Soon several large commercial projects were awarded including work at NCSU University, Duke University, and The Federal Correctional Institute in Butner. In early 2003, W.E. Bolton acquired the former Bolton Corp. Asheville Division and Stainless Steel Fabricators in Raleigh. The office of Bolton Construction and Service, LLC is located at 1623 Old Louisburg Road in Raleigh. Bolton now employs 40+ construction and service staff who serve the Plumbing, Heating, Air Conditioning, Electrical, and Fire Sprinkler needs of their residential and commercial clients. The company’s primary phone number is 919-861-1500 and the website address is www.boltonservice.com. 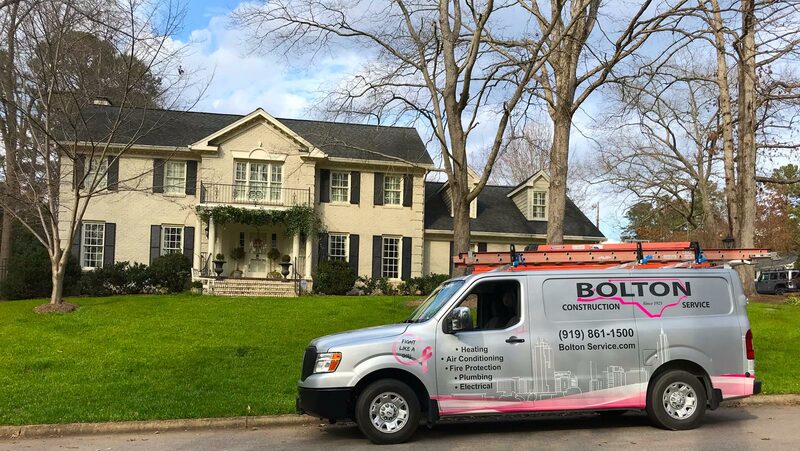 The other business units that are owned by the Bolton Family include Stainless Steel Fabricators located at 5325 Departure Drive in Raleigh and Bolton Construction and Service of WNC, Inc. located in Asheville NC.